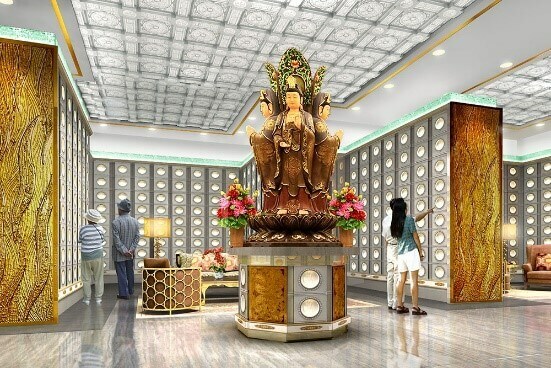 Since the ancient times, temples and pagodas have played an important role in the spirituality of Asians. In Malaysia, there are a lot of Buddhist temples. Amongst them, Kek Lok Si could be considered as one of the largest and most beautiful temples. 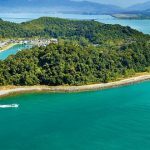 For a long time, it has been well-known as a magnet attracting thousands of visitors each year when they go on a trip to Penang Island. If you search the word “Penang Buddhist Temple” in Google, you will see the name Kek Lok Si in the very first page for sure. Kek Lok Si possesses a gorgeous view that every visitor would love to see. Kek Lok Si Temple is also called the Temple of Supreme Bliss. It is situated on the beautiful island Penang which is an extremely attractive destination in Malaysia. Kek Kok Si is not only an important religious site of Malaysia but also a masterpiece spreading its reputation all around the world thanks to its majestic and magnificent architectural style as well as 10,000 sophisticated-carved statues of Buddha. Kek Lok Si was built more than 100 years ago by a man named Beow Lean – a Buddhist from Fujian Provine, China. 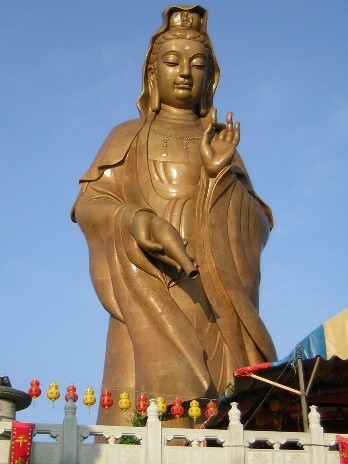 In the beginning, he intended to build a monastery in order to evangelize Buddhism to the residents. Luckily, his model was even more successful than what he hope. From 1891 to 1905, the monastery had become the largest Buddhist temple in Malaysia, including a series of monasteries, prayer rooms, pagodas, and landscaped gardens with very gorgeous designs. In order to set your feet on this famous temple, there are two ways: using an icline lift or going by foot. If you choose to go with the lift, you have to pay a small fee. If you prefer walking, it’ll take you some effort to go to the top of the mountain, but it’s also the chance for you to enjoy the scenery on along the way. Up to the top of the mountain, you will be amazed by the beautiful natural setting with a stunning 30 meters tall Bodhisattva statue. Next to it, there is a large lake with schools of fishes swimming around, and sometimes coming up above the water to take in oxygen. You can also admire the city from above. What’s an awesome view! 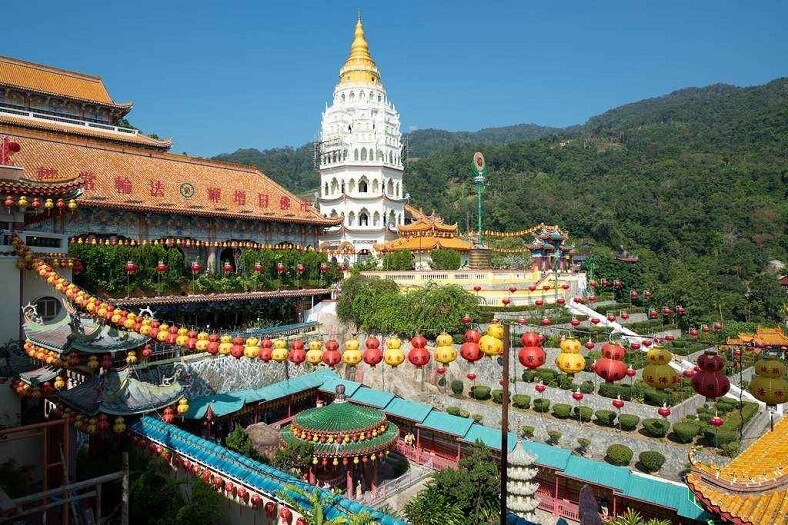 Not only a charming tourist destination in Malaysia, but the Penang Buddhist Temple Kek Lok Si is also a crucial part of the spiritual life of Penang residents. Getting to here and you will be amazed by 10,000 statues of Buddha which are sophisticatedly carved. To the natives, they’re sacred treasures that bring both joy and peace to them. With a deep slice on the hillside at Air Itam, just about 2 miles away from the Penang Hill, this temple is the center of Buddhism in Penang. At its campus, there is the statue of the Four Great Gods which are worshiped solemnly right at the main hall; each of the gods administers a direction – East, West, South, and North. Many visitors and pilgrims have been especially impressed by the fragrance of Laska – a traditional type of noodles in Malaysia. You can find many food stalls serving this dish throughout the streets leading to the temple. Enjoying a bowl of Laska noodles is absolutely an unforgettable experience that all the visitors want to have at least one time. Besides, you can rest assured that the price of the Laska noddles and other foods here is very affordable. 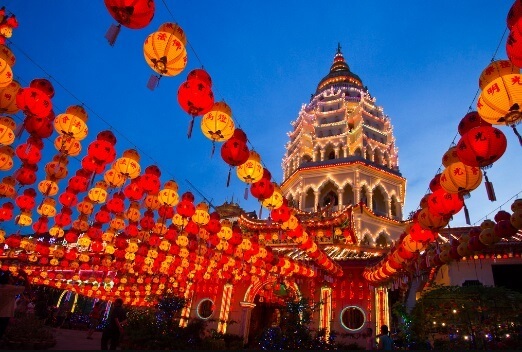 If you visit Kek Lok Si Temple on the Lunar New Year, you will feel the sparkling beauty of lanterns decorated in the temple’s campus as well as every corner of the streets, from the main road leading to the temple to small lanes. Kek Lok Si is always a great destination for Buddhist followers when the Buddhist ceremony is held. It contributes to spreading and developing of the Malaysian tourism. 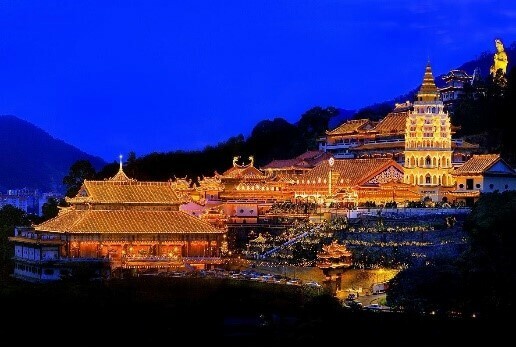 Both domestic and foreign visitors love it whenever they talk about Penang Buddhist Temple. What is the Best Southeast Asia Backpacking Route? Top 10 Kuala Lumpur Beaches – The Best Escape For You! How To Move From Hue to Hoi An? Asia Marvels is a Comprehensive & Reputable Travel Blog in Asia. We are group of travelers, backpackers who have many experiences in traveling around Asia. 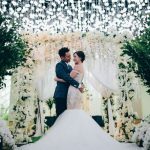 The purpose of making this blog is giving you the best tips, tricks, travel highlights for your amazing holiday to Asia. Let's follow us to explore more!! !